It is hard to believe it is April and I have finished 3 months of blogging? I actually set up my blog on Christmas morning. It sounds horrible, but everyone was playing with their gifts. I had been wanting to set it up, and it was the first quiet time in months. I really consider January as my first real month. Oh, well. This is supposed to be about looking back at March and forward to April. 6-8 Neckerchiefs for scout troop (before March 4)--Done! Badge sash for 2-3 boys in scout troop (before March 4)--because of the difficulty getting the correct fabric in the correct color, I spent more time driving to get the sashes than it would have taken to make 8-9 for the price of one. Miss Bossy Patterns Challenge--Simplicity 1696 Amazing Fit Jeans--Done! Make Youngest Son a safety orange fleece hoody--Done! Make Youngest Son his own Ethan Button Down Shirt--the fabric is bought, washed and ironed. Make Youngest Son a pair of shorts--the fabric is bought, washed and ironed. Maybe...finish Mr. Toad's dress pants, but with a less expensive poly blend gaberdine--ha, ha, I think Mr. Toad is glad he's not on the Ready-To-Wear Fast! This has been a pretty slow sewing month. However, I did accomplish more than this list looks like. In addition to the items on the list that are completed, I also have made some blankets for The Red Island Project started a sloper and made two banners. 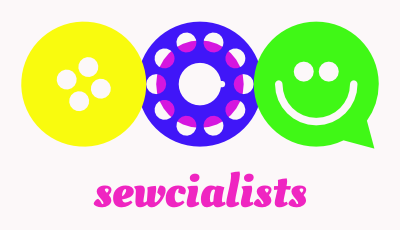 I also reached 52 followers on Bloglovin, I won Pattern Magic 2 from Graca at Sew Essentially Sew, and was nominated for the Liebster Award by Vicki at Yellow Submarine Time. As much as I would like to mope I need to remember that I did most of this while attempting to deal with a rheumatoid flare. For me, a flare is like a case of the flu and makes my hands, wrist, ankles and feet feel like they are sprained or broken. In fact, before diagnosis, I went to urgent care because I thought I sprained or broke my foot while sleeping. I'm sure they drug tested me because how does someone not know how they injured themselves? During a flare I also can sleep 18 hours a day. I really need to break this flare before they put me on the heavy duty meds again to knock out my immune system. Not a great way to be productive. Enough whining. I know this sounds like a convenient excuse, but it is the truth, I've pumped my body full of prednisone. In fact, I had enough prednisone to not want me to look at the very fitted sloper until I am back off of it and maybe a few weeks longer since I was combining stress eating with some prednisone eating and then taking out my prednisone frustration with some soy ice cream and raw chocolate. I hope everyone can wait. Remember, I'm taking prednisone and it makes me mean. So, I hope everyone can wait. I may overload my goals again, but it is better to shoot for the stars and land on the moon! I think I may or may not try the Pattern Review Contests this month. I am trying to keep from overdoing it. But have you heard that the May Challenge on the Monthly Stitch is for knits! 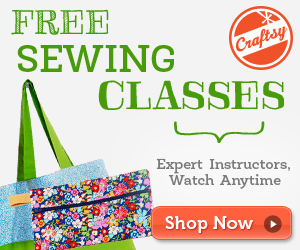 I have been looking for an excuse for buying a cover stitch machine. Youngest Son is all for it. He wants the decorative stitching on shirts and active wear. We're working on Mr. Toad. I even went to look at the Brother 2340CV Cover Stitch (affiliate link) this afternoon, but the store I went to didn't have any cover stitch machines. Does anyone have any suggestions on the Brother 2340CV? What accessories would I need right away? Or can you help me me good and wait until I save up? Congratulations on your three month anniversary and your nomination for a Liebster Award ! I am also relatively new to blog postings though I have been stalking others for over a year now. One of my favorite posts from March was the banners. Reminds me of the Lion King. Job well done! I love forward to seeing what April brings! Thanks. I stalked for years and will continue to stalk. The blogging is actually more natural and comfortable than I thought it would be. I promise you we are on the same wavelength!! I have the Brother 2340CV on my list as well! I am saving for it now! Let me know if you find anything, it really looks like a great machine, though. I like your plans for April, and I hope you feel a lot better this month than you did in March. If you are familiar with Financial Peace University, Mr. Toad and I were small group leaders. We've fallen off for a few months, but I think I need to save for the Cover Stitch Machine. :( However, that will give me time to research! I will share what I find. Rheumatoid arthritis runs in my family also. A couple of years ago, someone said we should try to avoid nightshades. It seemed like an impossible diet but those who tried it were pain free within a couple of week. It has been LIFE CHANGING for us. It is surprising how possible the impossible diet is when you know the pain will leave. You do have to be 100% in.....any mess up and you know it. Anyway, it may not be your thing but I had to write because it has been so amazing for us. Just google nightshade intolerance. Hope you feel better! Thanks Vicki. I have been following DrFuhrman.com. He has an autoimmune protocol that has helped me tremendously. Unfortunately, I fell off and am attempting to get back. The immune protocol seems limited: vegan, whole food, no salt, no sugar, no gluten, no oil, no potatoes (for me), no eggplant, and limited grains. With a series of family birthdays I fell off. Mr. Toad has seen such an improvement, he decided to give it a go for his Crohn's. He has seen a great improvement with only about 75% compliance. I need 100% or I flare. Let me know if you would like more information. It really has improved the quality of my life. Yes, I have followed DrFuhrman also. I have a full-blown dairy allergy but it wasn't until a few years ago that my family adopted my diet. My husband also has Crohn's (how strangely wierd). After his last hospital stay about 5 years ago, he finally agree to give up diary completely. He has not had one flare up since. The power of food is just amazing. Of course, his doctors say it is just a coincidence....lol.